Ukraine, with its major iron and steel industry, is set to decide between a comedian and an incumbent in late April. In Ukraine, Volodymyr Zelensky, a comedian, actor and presidential candidate, will again face off against sitting President Petro Poroshenko in late April, after a first round of voting that saw former frontrunner Yulia Tymoshenko fall into third place. Speaking with the Investing News Network (INN), Daragh McDowell, principal analyst and head of Europe and Central Asia at Verisk Maplecroft, said that Zelensky effectively represents a “none of the above” option for voters who are frustrated with the status quo, introducing an “unknown” into the nation on the doorstep of Europe. Ukraine is home to multiple large iron ore projects and operators such as ArcelorMittal (NYSE:MT), Metinvest and Black Iron (TSX:BKI,OTC Pink:BKIRF), which in February announced a deal with mining giant Glencore (LSE:GLEN,OTC Pink:GLCNF). In the first round of the election, Zelensky didn’t just scrape into the runoffs — he received almost double the support Poroshenko did, securing 30.2 percent of the vote to Poroshenko’s 15.9 percent and Tymoshenko’s 13.4 percent. For the mining industry, operators approached by INN previously have said that the five-year conflict with Russia is generally discounted as not a major threat to investment — an assessment McDowell agrees with. Matt Simpson, CEO of Black Iron, said that it was no surprise that Zelensky made it to the second round. 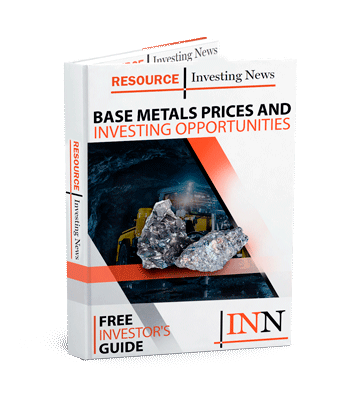 Black Iron holds the Shymanivske iron ore project in Central Ukraine, and in February announced that it had signed a memorandum of understanding that would see major miner Glencore help fund its project. Speaking with INN, Simpson said he believes Zelensky was a protest vote — and now, given that voters’ protests have been noted, Poroshenko is probably going to start improving in opinion polls as voters take a closer look at Zelensky. Simpson said that he isn’t aware of Zelensky saying anything on mining policy, and that shouldn’t come as much of a surprise because he hasn’t said much about anything. Thus far, that has been his appeal. He said that, even if Poroshenko may not be loved, he is likely “the best option” when it comes to stability and European integration. He explained that a fear in European countries is that Ukraine might slide backwards to previous economic and political systems, so development banks are more willing to open their wallets for development projects like Black Iron. Another iron and steel company in Ukraine is Metinvest, which ships directly out of Mariupol, a city on the frontline of the conflict. This is something that Poroshenko himself lightly touched on when he visited its facilities in early March. “Five years ago, it seemed incredible that multi-million dollar investments would come to the iron and steelmaking industry of Donbas,” said Poroshenko. Metinvest is the largest private company in Ukraine. Analysts and experts appear to agree that Zelensky is very much an unknown. Given McDowell believes Zelensky will likely secure the presidency, he offered his take on options going forward for Ukraine if he does. “The options are that either he brings a lot of well meaning but not technically politically competent friends, people who have the right ideas but don’t have the experience running a government, and it’s a catastrophe. “The second is that he gets kind of captured by the usual hangers on, and the political technologists who are already within the system in Ukraine. As a final assessment, McDowell said that, despite the election and voters’ disillusionment with the status quo, it is probably what Ukraine and investors and operators there are going to get. The second round of voting in the Ukrainian presidential election will take place on April 21.